Weighing in at just 10 grams and smaller than a human fingernail, audio specialist manufacturer Klipsch claims that its new Image in-ear phones are both the lightest and smallest of their kind in the world. Helping to keep things micro, each set of Image in-ear phones come with a patent-pending set of Contour Ear Gels. 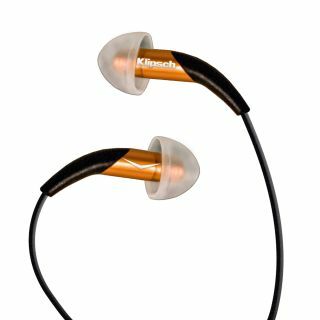 Klipsch claim that these soft silicon-based tips are designed to ensure a snug, external noise-reducing and bass-boosting fit inside the ear. Five different sizes of gel are supplied with each set of Image. Performance wise front the Image in-ear phones benefit from KG926 balanced micro-armature speakers on each side with a nominal impedance of 50 ohms. In addition to the extra Contour Ear Gels the phones also come with a silicon cleaning tool, a quarter-inch adaptor jack, an aeroplane adapter, a carrying pouch and a carrying case that rather conveniently happens to be the same size as an 80GB iPod. Klipsch Image in-ear phones are available in the UK now, priced £199.